Yesterday, Monday 23rd November, the Strategic Defence and Security Review (SDSR) 2015 was published. This was informed by a refreshed National Security Risk Assessment undertaken for the National Security Council. The White Paper confirmed the Government’s commitment to maintaining the UK’s independent nuclear deterrent, which will remain essential to our security today, and for as long as the global security situation demands. This afternoon, the House of Commons will debate the role of the strategic deterrent in defence of the nation. It has existed for over 60 years to deter the most extreme threats to our national security and way of life, helping to guarantee our security, and that of our allies as an essential element of the NATO nuclear umbrella. Since 1969, the Royal Navy has delivered the nuclear deterrent under Operation Relentless, with at least one of four nuclear-armed submarines on patrol at all times. Watch more here. As a responsible Nuclear Weapons State, we are of course committed to the long-term goal of a world without nuclear weapons. The UK has long had a very strong record on nuclear disarmament, and we have reduced our nuclear forces by well over 50% since the Cold War. But there remain an estimated 17,000 nuclear weapons divided among capable nations around the world today, it is clear that despite efforts at reduction, the threat posed by proliferation remains very real. Although we have unilaterally reduced our nuclear warhead stockpile since our declaration to do so in SDSR 2010 – so that now our submarines carry 40 rather than 48 warheads on patrol – no other nuclear state has followed suit during this decade. In fact, far from it. Russia is embarked on a programme of modernisation of its nuclear submarine fleet, North Korea has tested both its missiles and its warheads, Iran only recently agreed to place its programme on hold and subject to international verification. Latest estimates indicate in addition to the five permanent members of the UN Security Council, at least four other nations have or are developing nuclear weapon ambition or capability. The UK’s independent deterrent is therefore a key component to ensure our national security, our ultimate insurance policy under the direct control of the Prime Minister. In this respect, we use our nuclear deterrent every day to deter a nuclear attack, nuclear blackmail, and extreme threats that cannot be countered by any other means. Maintaining and sustaining the UK’s Defence Nuclear Enterprise is truly a national endeavour. Supporting over 30,000 jobs across the UK, it makes a significant contribution to the UK economy. These jobs ensure that the UK retains and develops its world leading skills through a wide range of companies. Her Majesty’s Naval Base Clyde is one of the largest employment sites in Scotland, with around 6,800 military and civilian jobs now, with a wider economic impact on the local economy. The future is very positive: the number of personnel at HMNB Clyde is set to increase to an estimated 8,200 by 2022 as the Base becomes home to all Royal Navy submarines and the UK’s Submarine Centre of Specialisation from 2020. HMNB Clyde is not just a submarine base – it is also home to some of the Navy’s surface ships; a Royal Marine Commando unit; the Northern Diving Group (including Maritime Explosives Ordnance Disposal), and a significant number of training facilities under Flag Officer Sea Training (North). Major re-development of the Base is also underway. We will be investing hundreds of millions of pounds at HMNB Clyde over the next ten years as part of a programme of life extension of infrastructure in support of existing and future submarines and generation of the Submarine Centre of Specialisation. This will generate huge economic benefits for communities throughout Scotland. As you may have heard yesterday we will also be investing in nine new P8 Maritime Patrol Aircraft for maritime surveillance, anti-submarine and anti-surface ship warfare, increasing further the protection of our nuclear deterrent and our new aircraft carriers, as well as providing air-sea rescue. These aircraft will be based at RAF Lossiemouth – an ideal place for maritime patrol and the base currently used by our NATO allies. The role of Government is to ensure the security of our citizens at home and abroad into the future and in such an uncertain word, we cannot predict what that will bring. This is why we are committed to delivering this vital but demanding and complex programme: replacing our fleet of four Vanguard Class submarines. 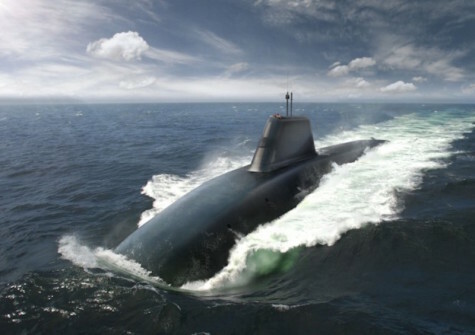 Our estimate of the cost building four new submarines is £31Bn, spread over the lifetime of the programme, on top of which given the duration and complexity of the programme, we are setting a contingency of £10Bn. On average, that amounts to an insurance policy of 0.2% per year of government spending. Maintaining our nuclear deterrent is a small price to pay for the assurance it provides. It really is the ultimate guarantee of our nation’s safety.